Shades are the most classic and sophisticated looking window treatments there are, and they’re a great way to enhance the appearance of your home. Whether you need attractive yet affordable shades in Riverside, or extravagant, luxurious shades, Anytime Blinds and Shutters has the perfect selection for your Riverside home. We can custom design your shades, as well, so we can guarantee that you’ll be able to find the perfect set for your home. 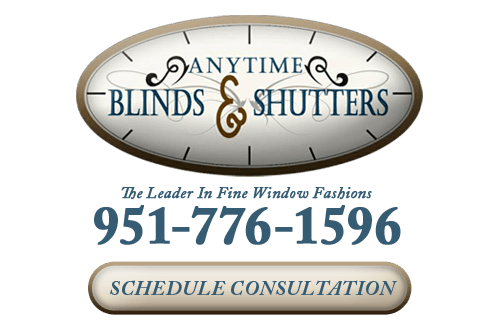 The professionals at Anytime Blinds and Shutters can offer you a free in-home consultation to help you decide which shades right for you, your home, and your budget. After you’ve made your decision, we also offer free measurement and installation for your new window treatments. Our shades are available in a wide variety of styles and designs, and our professionals can help you decide on which will be right for your home. 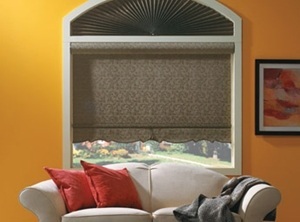 Roman shades have a classic look and style. They’re a perfect match for almost any decoration style or any room. There hang flat when they’re lowered, and they fold up nicely when they’re raised. Roman shades are also great for sound insulation. Woven wood shades are typically made from natural materials or bamboo or grass. These types of shades can help you create a fun and relaxed atmosphere in any room in your home. They can be cut to order, so they’ll be a perfect fit for any of your windows. Honeycomb Shades (often referred to as pleated shades, cellular shades, or cellular blinds) are valued by many homeowners because of their simple appearance, superior insulation, and exceptional light control. They are made up of many small honeycomb-shaped pockets—or "cells"—that are designed to help keep air from entering or escaping your Riverside home. They'll be very effective at keeping your home's temperature stable, which can improve your home's energy efficiency. These are only a few of the varieties of shades that are available, and all of our shades can be custom built to suit your exact needs. 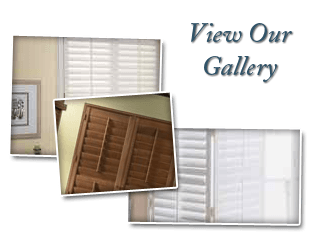 When you choose Anytime Blinds and Shutters for your window coverings in Riverside and the surrounding areas, you always get a top quality experience. Window shades provide excellent insulation, which can help you money on your monthly energy costs. Shades will go a long way toward keeping outside temperatures outside and inside temperatures in. They’re available in a wide variety of styles and designs, so you’ll be able to find shades that are perfect for your home. Whether you’re looking for UV shades, roller shades, woven wood shades, or cellular shades, our Riverside shutter company will be a ready to make sure you’re getting what’s perfect for you and your home. If you are interested in an estimate for shades in Riverside, CA or the surrounding areas, please call 951-776-1596 or complete our online request form.